A couple approached me when they were thinking about putting their home on the market. They knew there was a lot to do to get it ready for sale and wanted to stretch that budget as far as possible, so they hired me to re-design their home to make it more appealing to potential buyers. As most of us know, the kitchen can either make or break a sale. We wanted to make it shine, without having to gut it or break the bank. We replaced the counters and splurged on a mosaic glass tile backsplash, but kept all of the existing cabinets and repainted them with Annie Sloan Chalk Paint. This worked so well, as all we needed to do was clean and wipe on a little deglosser/liquid sandpaper, then paint. Once cured, we sealed them with water-based Polycrylic in a satin finish. 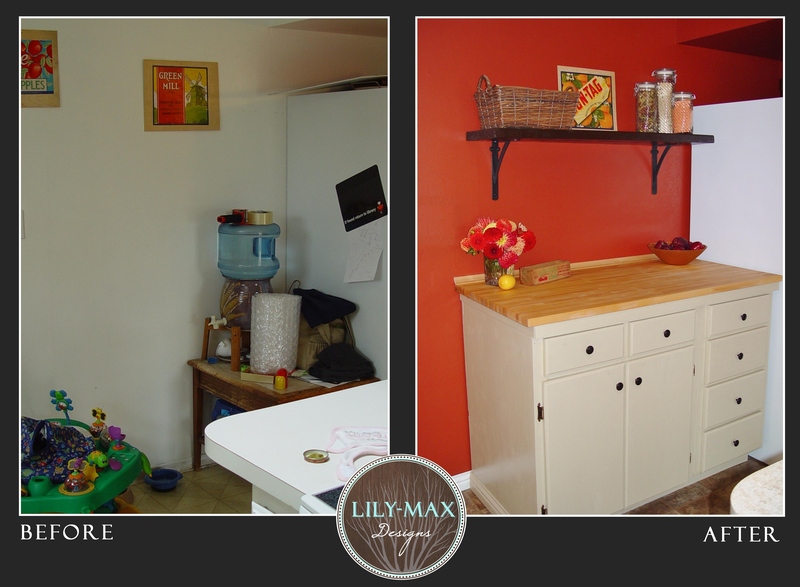 We found two mismatched base cabinets at The RE Store in Bellingham and used them to create a prep/baking area for the empty space near the refrigerator. One cabinet has two drawers with cabinets below and a cool pull-out shelf inside, the other has lots of drawer space – perfect for utensils, oven mitts, etc. They were both in a wood finish that had seen better days. 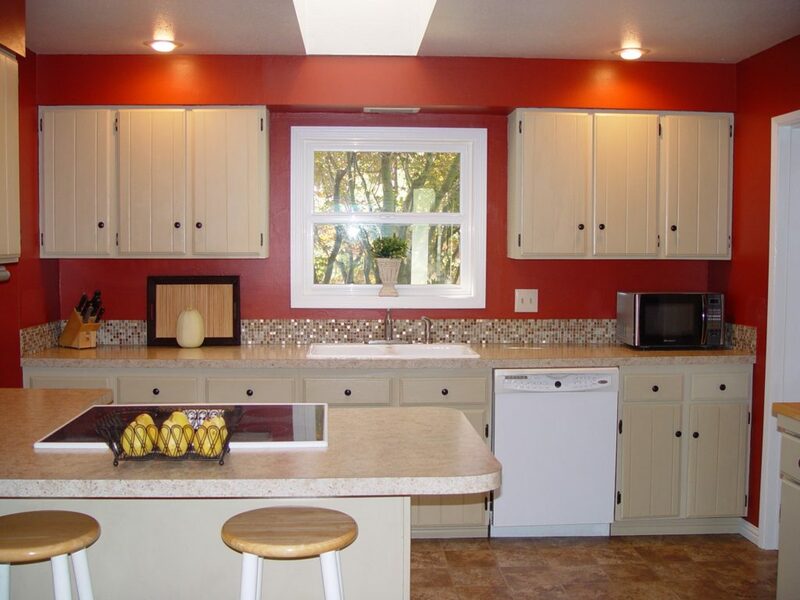 We removed their tops, put them together, added some base trim and painted them the same as the existing cabinets. We then added a butcher block top for the counter, a shelf made from reclaimed wood, and new hardware. We were able to add much needed storage and a prep area for very little money (around $120 total).